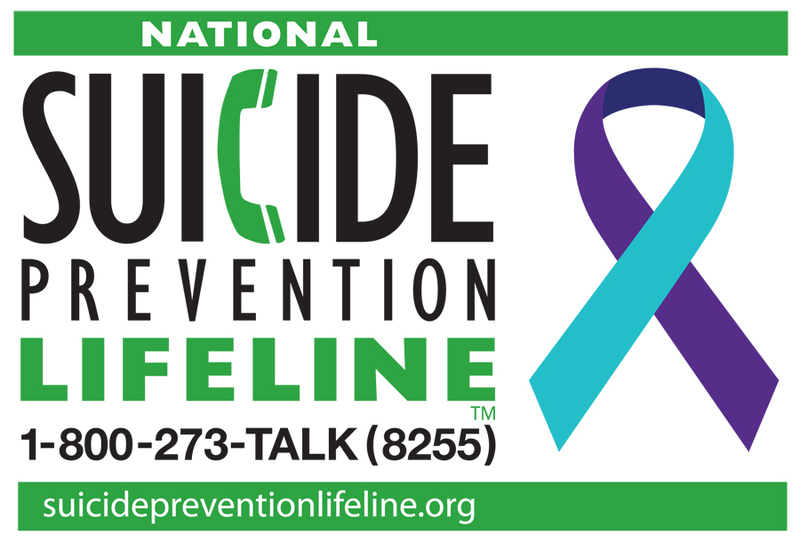 Share your business, service, PSA, or event on LIVE RADIO. The squeaky wheel gets the grease, but remove the quiet wheel and the bike becomes useless. 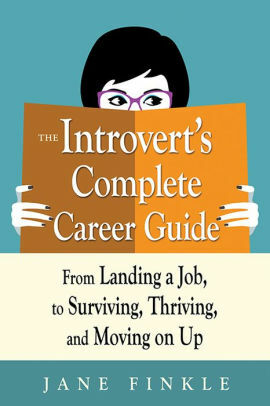 Jane Finkle knows firsthand the unique challenges and obstacles introverts face. Her new book, The Introvert’s Complete Career Guide: From Landing a Job, to Surviving, Thriving, and Moving on Up, provides the tools you need to break free from what is holding you back, creating a path to a more fulfilling life. Jane has 25 years of experience as a career coach for universities and has run her own career counseling firm since 2002. 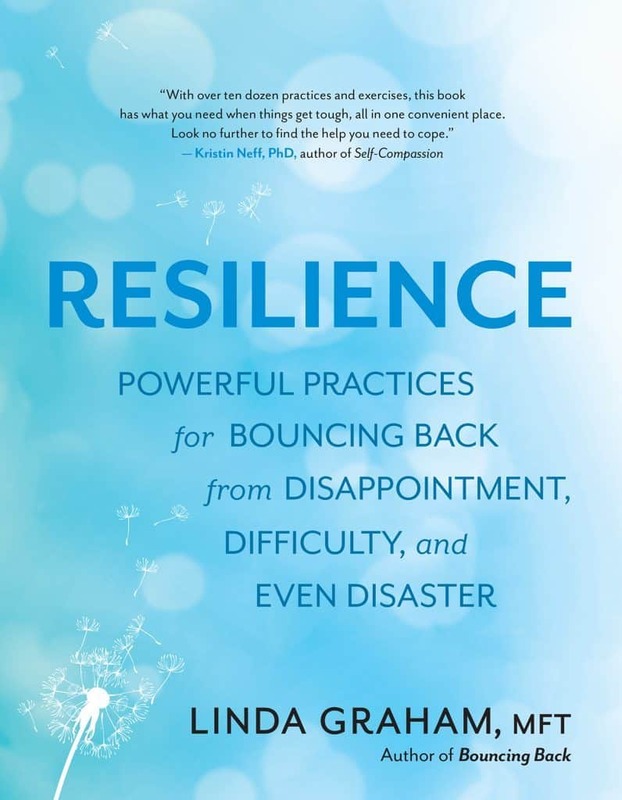 Next, do you run yourself ragged trying to do it all at home and work, smiling and not a hair out of place, because quite simply, failure is not an option? While young boys are taught to be bold and adventurous, young women are taught to be prim, proper, and demure. 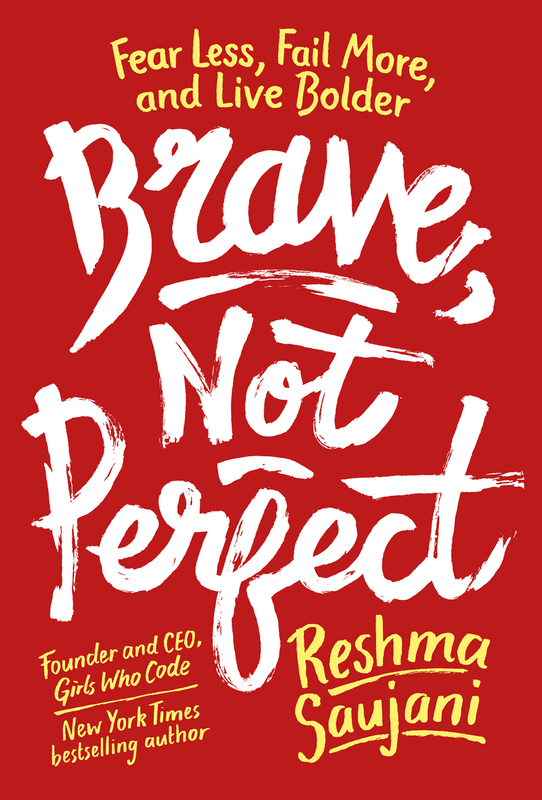 Brave, Not Perfect: Fear Less, Fail More, and Live Bolder by Reshma Saujani shows you how to end your love affair with perfection and rewire yourself for bravery. Reshma began her career as an attorney and activist., surging onto the political scene in 2010 as the first Indian American woman to run for U.S. Congress. She is Founder and CEO of Girls Who Code, a national non-profit organization. 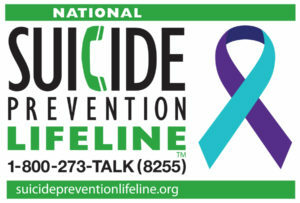 Today’s show turns the invisible visible. Our guests expose the hidden costs of the invisible, often unpaid, and thankless labor you do everyday, and share how to create more sustaining relationships and communication skills while creating more fun time for yourself. 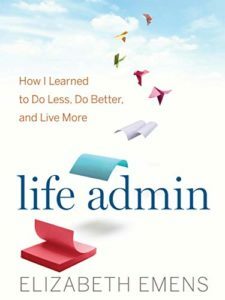 Even with technology (and often because of it) aiding us, most of us are drowning in an endless sea of paperwork, bills, texts, and e-mails, all tedious tasks that become overwhelming if we don’t stay on top of them. 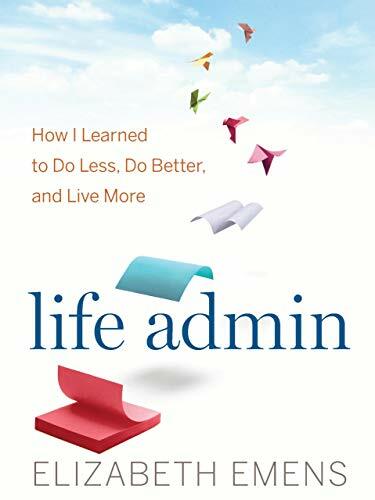 With Life Admin: How I Learned to Do Less, Do Better, and Live More, author Elizabeth Emens offers simple ways to reduce the time and effort we spend on these mundane daily details of life. 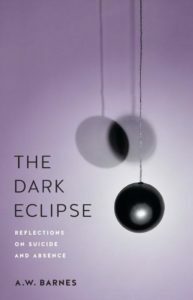 Elizabeth is a legal scholar and an Isidor and Seville Sulzbacher Professor of Law at Columbia University. 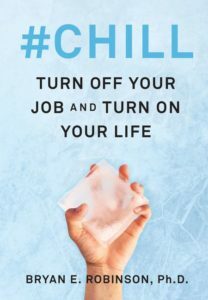 Next, Psychotherapist Dr. Bryan Robinson says “If you are a workaholic, overachiever, or perfectionist, you have permission to stop working and #CHILL”. 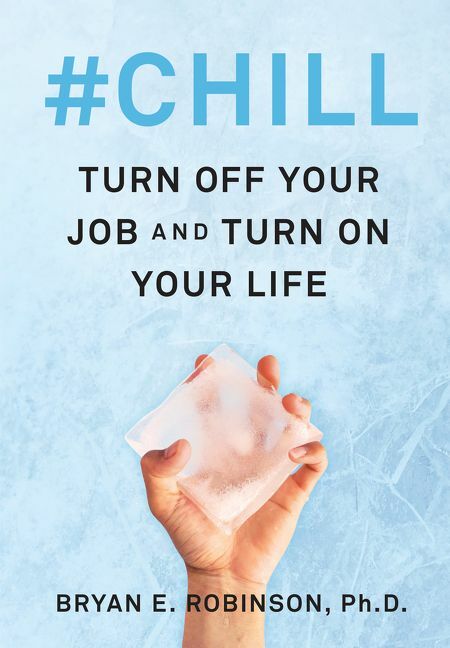 His new book, #CHILL: Turn Off Your Job and Turn On Your Life, explores how to get out of the trap of working non-stop and achieve a healthy work/life balance. Dr. Robinson is a psychotherapist and Professor Emeritus at the University of North Carolina at Charlotte. He has authored thirty nonfiction books and written for over one-hundred professional journals and magazines. Robyn Carr began writing novels as a young mother of two, ignoring harsh criticism from a peer suggesting she find another line of work and persevering to become an eleven time New York Times bestselling author. 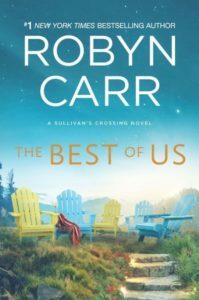 “There’s a need for positive drama,” she says, “Not just (a) goody-two-shoes, everything-is-beautiful kind of story, but a kind of story where characters serve as positive role models for women who read the books.” Her new book is the latest in her Sullivan’s Crossing series, The Best of Us. 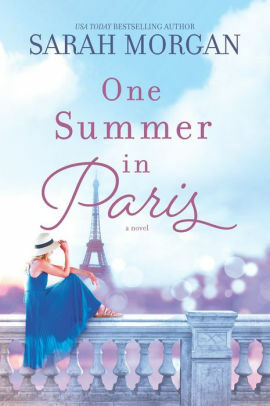 Robyn has written over 40 novels, has received a Nora Roberts Lifetime Achievement Award, and has a scripted drama with Netflix coming soon. 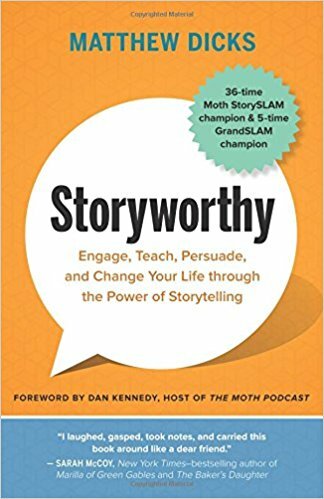 Next, Vicki chats with one of her favorite storytellers, Matthew Dicks, whose book Storyworthy: Engage, Teach, Persuade, and Change Your Life through the Power of Storytelling offers tips and techniques to polish your storytelling to hold any audience’s attention, big or small! Matthew is a 35-time Moth StorySLAM champion and 6-time Moth GrandSLAM champion. 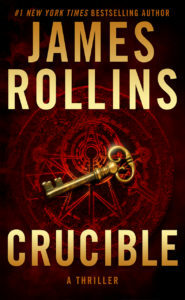 He’s an international bestseller, and in addition to his novels he has written musicals, a rock opera, and comic books. She’s a writer’s-writer. A reader’s-writer. 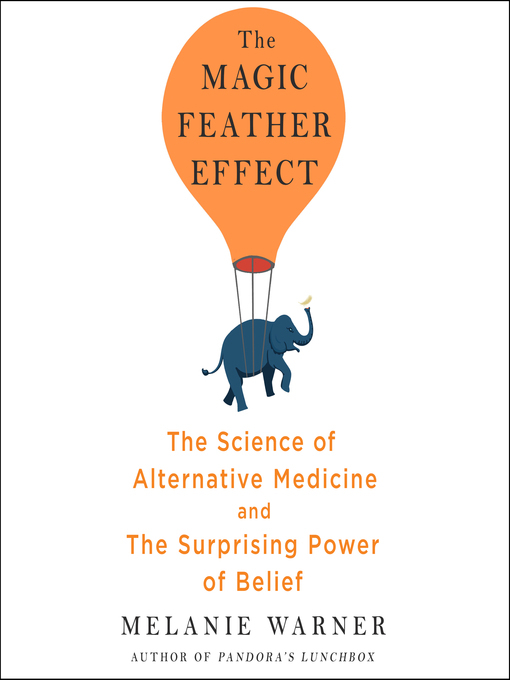 And with self-effacing humor, and ruthless honesty, Anne Lamott makes us think about what most of us don’t like to think about. 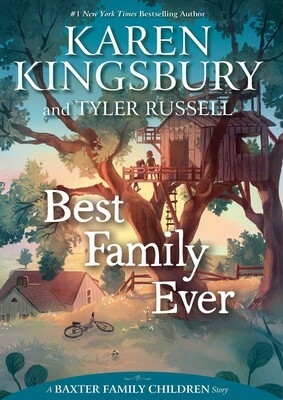 She’s known for writing and speaking about subjects that begin with Big Capital Letters. 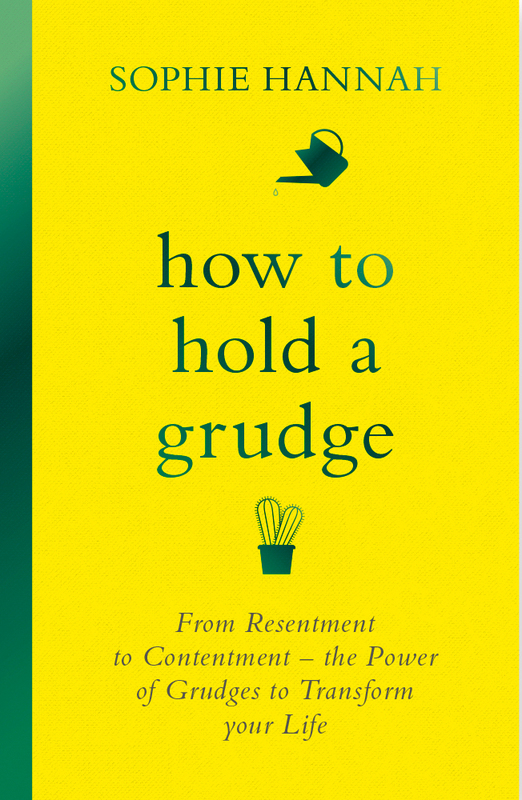 Today we’ll share her thoughts on Hate, Jealousy, Love, Hope, and preserving one’s Sanity. 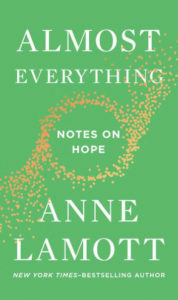 A New York Times bestselling author and recipient of a Guggenheim Fellowship, Anne Lamott has been inducted into the California Hall of Fame. She’s taught at UC Davis, as well as at writing conferences across the country. Academy Award-winning filmmaker, Freida Mock, made a documentary on her called Bird by Bird with Annie. 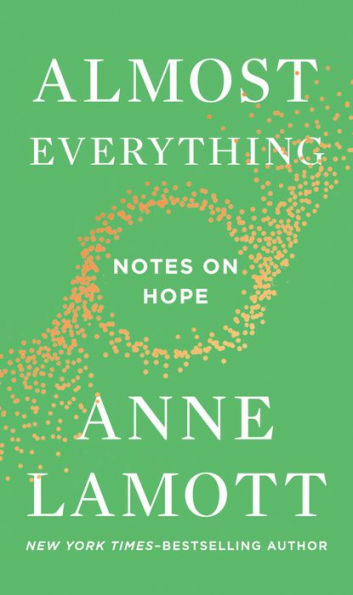 Anne Lamott’s latest book of essays is Almost Everything: Notes on Hope. 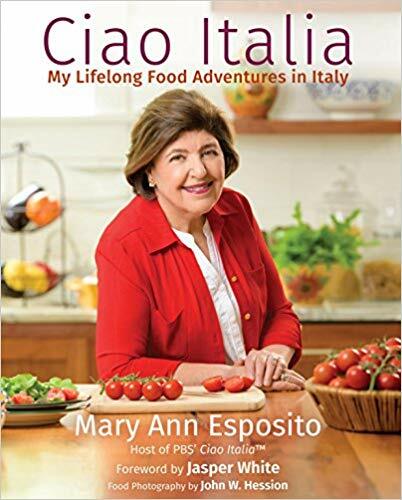 We’ll end today’s show chatting with the host of Ciao Italia, the longest-running cooking show on television, Mary Ann Esposito. Find out the secret to the show’s success, her thoughts regarding pairing food and wine, and a few of her all time favorites for those who like to put an Italian spin on Thanksgiving. Her latest book, Ciao Italia: My Lifelong Food Adventures in Italy reads as both a cookbook and a love-letter to Italy. 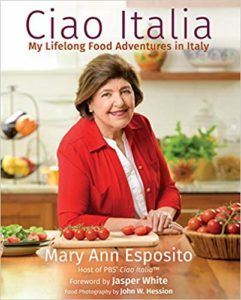 Mary Ann’s 12 books have helped chefs and foodies understand authentic Italian ingredients and dishes. She created and has hosted Ciao Italia on PBS since 1989. Every year on Christmas Eve and Christmas Day, The Scandinavian Hour hosts Christmas music from 12 p.m. – 2 p.m. So enjoy the music, and Conversations LIVE with Vicki St. Clair will be back next week. If you do celebrate, the team at Conversations LIVE wishes you a Very Merry Christmas filled with much joy, love, and laughter. From ~ David, Eric, Jon, & Vicki. P.S. And Dylan Thomas the Border Collie, who keeps Vicki in check! 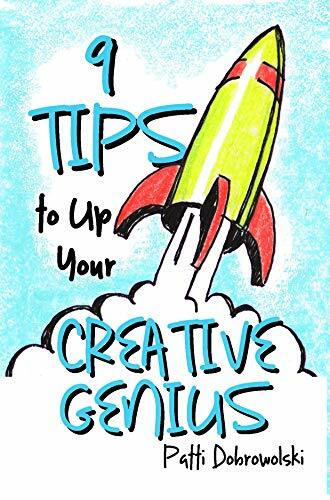 An old friend returns to Conversations Live today as Vicki is joined by Patti Dobrowolski, who last joined us six years ago upon the release of her first book, Drawing Solutions: How Visual Goal Setting Will Change Your Life. 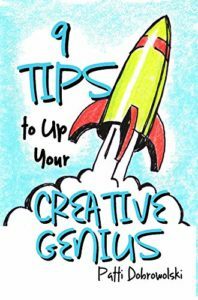 Today, she’ll discuss how you can use visual goal setting to jump start your goals for the new year in a fun and easy way, with some of the tips from Patti’s new book, 9 Tips to Up Your Creative Genius. She also provides free resources to help you get started — see goal-setting template map and icon guide. 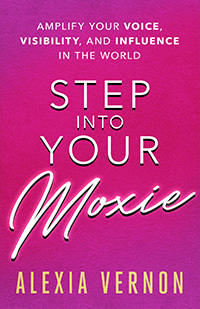 Patti is a TEDx speaker, critically acclaimed comic performer, writer, and business consultant. 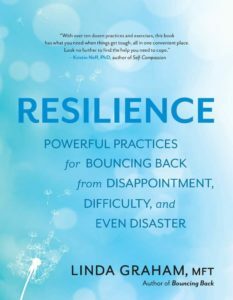 A multiple business award-winner, and past Broadway performer, she’s a member of the National Speaker’s Association and is known for her innovative visual keynotes. 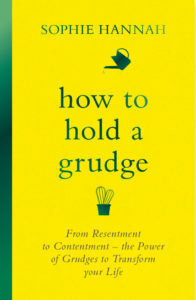 Also today, Book Suggestions for Holiday Gifts. Vicki’s frequently asked if she has recommendations for stocking fillers, or books that make good stand-alone gifts, and she’ll share six of her favorites — all of which she’s given as gifts over the years. 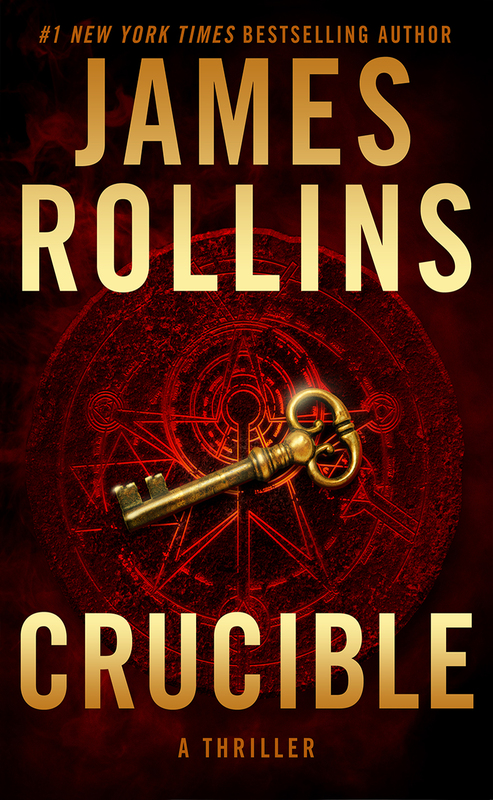 Four of the authors have been guests on past shows. If you’d like a list of Vicki’s Holiday Gift Ideas, or links to the interviews, please email us.